This tutorial will be showing you how to install SeaMonkey on Ubuntu 16.04. SeaMonkey, formerly known as Mozilla Suite, is an open source, community-driven Internet application suite. The latest stable release is SeaMonkey 2.46 at time of this writing. SeaMonkey isn’t included in Ubuntu repository. 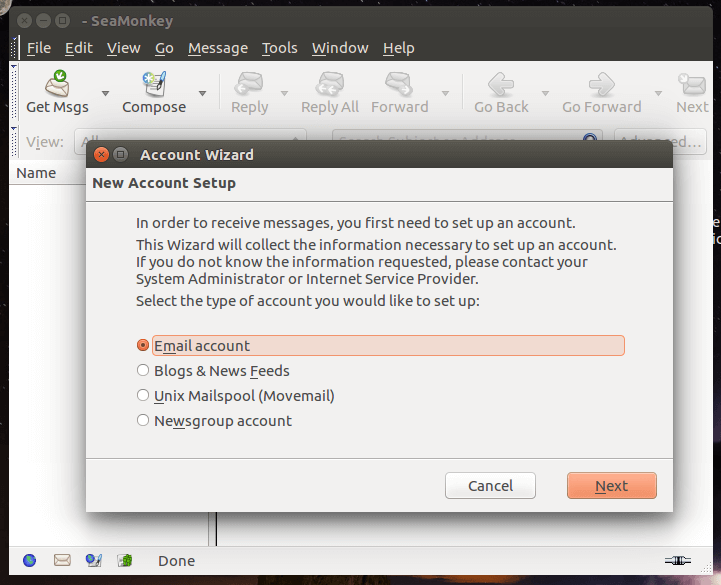 We can install SeaMonkey via Ubuntuzilla, which is an APT repository containing the latest SeaMonkey deb package. 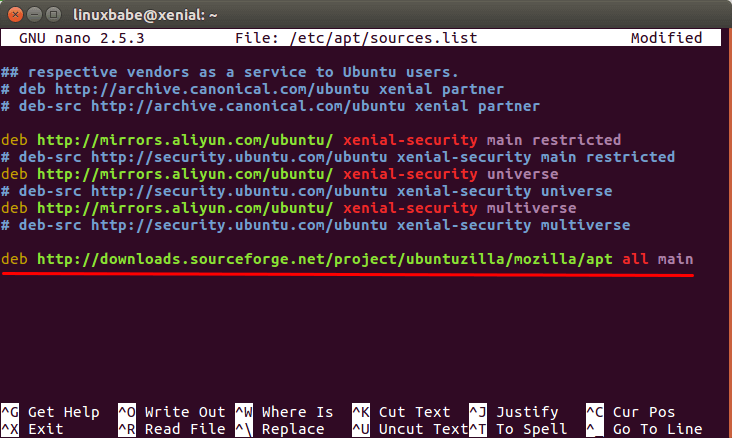 To add the Ubuntuzilla repository to your system, you need to open up a terminal window and edit the sources.list file. Then scroll down to the bottom of the file and append the following line into the file. Save and close the file. Then run the following command to import Ubuntuzilla public key to your GPG keyring so that the integrity of packages downloaded from this repository can be verified by APT. 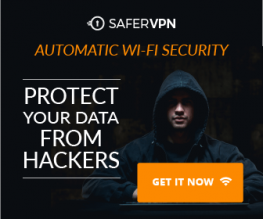 Finally, update your package list and install SeaMonkey. Once installed, you can start it from Unity Dash or your preferred application launcher. 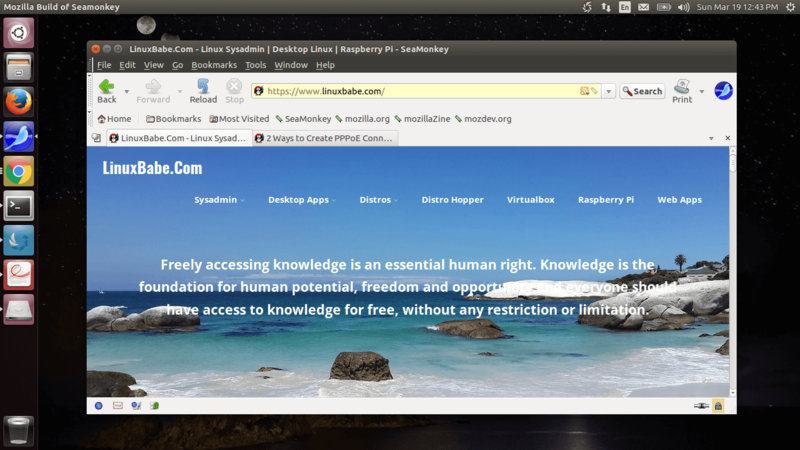 SeaMonkey keeps a traditional look of web browsers. There are 4 buttons on the bottom-left corner of the browser, taking you to the browser, email client, HTML composer and address book, respectively. Compared to Mozilla Thunderbird, the email client is lightweight. It works with most modern email services and your own email server if you know how to build one. You can also install add-ons like Lightning (calendar) and DOM inspector. Many Firefox add-ons are compatible with SeaMonkey. I hope this tutorial helped you install and use SeaMonkey on Ubuntu 16.04. As always, if you found this post useful, then subscribe to our free newsletter. You can also follow us on Google+, Twitter or like our Facebook page. Worked perfectly. Thank you. Much better than the official instructions. will these instructions work for 14.04 as well? I’ve got a ton of old e-mail I want to import from a defunct windows computer. I used the instructions exactly as written. Successful, simple install. Installed on Ubuntu 15.04 (lubuntu). Used File/New/Composer Page to begin wysiwyg creation of new web page. Easy import of photos. Easy creation of test table. Nice for all those familiar with linux. How do you save the sources.list once modified??? Press Ctrl+O, then press Enter to confirm. Press Ctrl+X to exit.